More consumers today expect to have information at their fingertips, especially younger demographics. Take my 18-year-old son for example – he is constantly on his iPhone while I typically use a computer to do research. Like most industries these days, healthcare is adapting to the mobile revolution as on-the-go information and solutions are becoming a necessity rather than a nicety for consumers. According to a 2014 report from comScore, mobile devices (smartphones and tablets) accounted for 60% of the time that consumers spent on digital media. In addition, there are nearly 43,700 medical apps available in the Apple store alone, 69% of which are targeted to consumers and patients, according to a 2013 report co-authored by Murray Aitken, executive director of the IMS Institute of Healthcare Informatics. 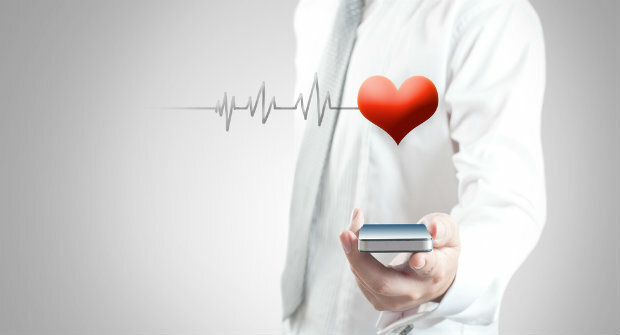 To help you navigate your app store and all of the health-related resources available, here is a list of some useful and download-worthy mobile healthcare apps that can give you more control over your healthcare. Teladoc: This telehealth company provides 24/7 access to non-emergency healthcare consultations with U.S. board-certified doctors via phone, online video or mobile app. Teladoc’s free mobile app makes it easy for registered members to manage their healthcare records and request a phone or video consultation with a doctor at any time. FAIR Health: Using FAIR Health’s “Consumer Cost Lookup” tools and free mobile app, you can look up general prices for dental and non-covered medical procedures in your area. This can help you anticipate and plan for out-of-pocket health costs, or you can consider contacting another provider for what could be a lower price based on the estimates you received. iTriage: This mobile healthcare app was created by a pair of ER doctors to help people with a variety of useful healthcare resources and tools right at their fingertips. You can use iTriage to search for answers to healthcare questions, locate appropriate medical facilities and specialists near you, schedule appointments and more. NBRx Card: This free program and mobile app can help you access discounts on generic and brand-name prescriptions at more than 60,000 pharmacies nationwide. You can also use the app to compare drug prices at different pharmacies so you can shop around for the lowest price. This is a guest article written by Marti Powles, the Chief Operating Officer for New Benefits. To read more articles and industry insights from executives at New Benefits, click here.